(Rev 11:14) The second woe is past; and, behold, the third woe cometh quickly. (Rev 11:15) And the seventh angel sounded; and there were great voices in heaven, saying, The kingdoms of this world are become the kingdoms of our Lord, and of his Christ; and he shall reign for ever and ever. (Rev 11:17) Saying, We give thee thanks, O Lord God Almighty, which art, and wast, and art to come; because thou hast taken to thee thy great power, and hast reigned. (Rev 11:18) And the nations were angry, and thy wrath is come, and the time of the dead, that they should be judged, and that thou shouldest give reward unto thy servants the prophets, and to the saints, and them that fear thy name, small and great; and shouldest destroy them which destroy the earth. (Rev 11:19) And the temple of God was opened in heaven, and there was seen in his temple the ark of his testament: and there were lightnings, and voices, and thunderings, and an earthquake, and great hail. The second woe or sixth trumpet has taken place. One third of humanity has been killed in the nuclear devastation of the sixth trumpet. The response of the King of the North as ‘like a whirlwind’ he swept through the Muslim nations responsible for the grievous attack also contributes to the heavy death toll of this military engagement. (Rev 13:15) And he had power to give life unto the image of the beast, that the image of the beast should both speak, and cause that as many as would not worship the image of the beast should be killed. (Rev 10:7) But in the days of the voice of the seventh angel, when he shall begin to sound, the mystery of God should be finished, as he hath declared to his servants the prophets. The phrase ‘when he shall begin to sound’ is more properly translated ‘when he is about to’ sound. Meaning that before the seventh trumpet sounds the mystery of God will be finished. Christ will have penetrated all the hearts and minds possible with his spirit. Just prior to the seventh trumpet sounding the door of the ark closes for humanity. Those who have entered will be protected but those who have chosen to remain outside have no hope of redemption. Their opportunity to claim the free gift of eternal life through the merits of Jesus Christ is no longer available. (Rev 22:11) He that is unjust, let him be unjust still: and he which is filthy, let him be filthy still: and he that is righteous, let him be righteous still: and he that is holy, let him be holy still. We give thee thanks, O Lord God Almighty, which art, and wast, and art to come; because thou hast taken to thee thy great power, and hast reigned. The use of the past tense in both the phrases above reveals that the kingdoms of this world have already become the possession of ‘our Lord and of his Christ’. Christ has taken up his ‘great power, and hast reigned’. (Dan 7:13) I saw in the night visions, and, behold, one like the Son of man came with the clouds of heaven, and came to the Ancient of days, and they brought him near before him. (Dan 7:14) And there was given him dominion, and glory, and a kingdom, that all people, nations, and languages, should serve him: his dominion is an everlasting dominion, which shall not pass away, and his kingdom that which shall not be destroyed. Just prior to the seventh trumpet sounding the whole world has experienced the chilling destruction of a third of the world’s population in the greatest war mankind has seen during the sixth trumpet. The expression ‘the nations WERE angry’ is a reference to that war. The word ‘were’ refers to the state of nations in the past as well as the continued strained international relations that continue to exist at this point in time when the seventh trumpet sounds. Ellen White identified the brewing anger of nations in 1910. Not long after she wrote the above statement the outbreak of World War One was initiated in Europe. The anger of the nations is certainly an ‘event’ which has taken place before the seventh trumpet sounds – Ellen White even in the late nineteenth and early twentieth century viewed the anger of the nations on the world stage rising. This anger will reach a crescendo when World War Three or the sixth trumpet takes place between the King of the North and the King of the South described in Daniel 11:40-43. The close of probation for humanity has taken place – the door of the ark has been shut. Time is no longer – the ‘mystery of God’ is finished! (Mat 24:21) For then shall be great tribulation, such as was not since the beginning of the world to this time, no, nor ever shall be. (Rev 7:1) And after these things I saw four angels standing on the four corners of the earth, holding the four winds of the earth, that the wind should not blow on the earth, nor on the sea, nor on any tree. (Rev 7:3) Saying, Hurt not the earth, neither the sea, nor the trees, till we have sealed the servants of our God in their foreheads. Once the seventh trumpet sounds the ‘winds of the earth’ are fully released. The servants of God are sealed. They have demonstrated their obedience to God by keeping the seventh day Sabbath of the fourth commandment even under the threat of persecution and death. (Dan 11:45) And he shall plant the tabernacles of his palace between the seas in the glorious holy mountain; yet he shall come to his end, and none shall help him. (Dan 12:1) And at that time shall Michael stand up, the great prince which standeth for the children of thy people: and there shall be a time of trouble, such as never was since there was a nation even to that same time: and at that time thy people shall be delivered, every one that shall be found written in the book. When the abomination of desolation or Satan personating Christ plants his tabernacles or stands in the ‘holy place’ (Matthew 24:15) this is also the time that Michael stands up. When Christ our heavenly high priest ceases his ministration in the heavenly sanctuary for humanity the ‘time of trouble’ begins. This signifies the ‘coming of’ or unleashing of God’s wrath. The seven plagues are about to be poured out. (Dan 7:22) Until the Ancient of days came, and judgment was given to the saints of the most High; and the time came that the saints possessed the kingdom. (Dan 7:9) I beheld till the thrones were cast down, and the Ancient of days did sit, whose garment was white as snow, and the hair of his head like the pure wool: his throne was like the fiery flame, and his wheels as burning fire. (Dan 7:10) A fiery stream issued and came forth from before him: thousand thousands ministered unto him, and ten thousand times ten thousand stood before him: the judgment was set, and the books were opened. (Dan 7:11) I beheld then because of the voice of the great words which the horn spake: I beheld even till the beast was slain, and his body destroyed, and given to the burning flame. (Dan 7:25) And he shall speak great words against the most High, and shall wear out the saints of the most High, and think to change times and laws: and they shall be given into his hand until a time and times and the dividing of time. (Dan 7:26) But the judgment shall sit, and they shall take away his dominion, to consume and to destroy it unto the end. The judgment of the righteous dead began in 1844 at the conclusion of the 2300 day prophecy of Daniel 8 when Christ our heavenly high priest entered into the antitypical Day of Atonement by moving from the holy place into the most holy place of the heavenly sanctuary. Christ has appeared to plead the cases of all those who have believed in the wonderful gift the ancient of days – our heavenly Father gave – the gift of his only begotten son. This is the judgment that sits in Daniel 7 which will only reach the judgment of the living righteous just prior to the close of probation. The beast and little horn are given to the burning flame. This is the prophesied destruction of the Papacy. (Rev 20:4) And I saw thrones, and they sat upon them, and judgment was given unto them: and I saw the souls of them that were beheaded for the witness of Jesus, and for the word of God, and which had not worshipped the beast, neither his image, neither had received his mark upon their foreheads, or in their hands; and they lived and reigned with Christ a thousand years. (Rev 22:12) And, behold, I come quickly; and my reward is with me, to give every man according as his work shall be. (Dan 7:27) And the kingdom and dominion, and the greatness of the kingdom under the whole heaven, shall be given to the people of the saints of the most High, whose kingdom is an everlasting kingdom, and all dominions shall serve and obey him. (Psa 37:11) But the meek shall inherit the earth; and shall delight themselves in the abundance of peace. (Mat 5:5) Blessed are the meek: for they shall inherit the earth. (Rev 21:7) He that overcometh shall inherit all things; and I will be his God, and he shall be my son. (Rev 14:12) Here is the patience of the saints: here are they that keep the commandments of God, and the faith of Jesus. · And the faith of Jesus. (1Jn 2:3) And hereby we do know that we know him, if we keep his commandments. (1Jn 2:4) He that saith, I know him, and keepeth not his commandments, is a liar, and the truth is not in him. (1Jn 2:5) But whoso keepeth his word, in him verily is the love of God perfected: hereby know we that we are in him. (1Jn 2:6) He that saith he abideth in him ought himself also so to walk, even as he walked. (Joh 15:4) Abide in me, and I in you. As the branch cannot bear fruit of itself, except it abide in the vine; no more can ye, except ye abide in me. The zeal of those who obey the Lord will be increased as the world and the church unite in making void the law. Every objection raised against the commandments of God will make way for the advancement of truth and enable its advocates to present its value before men. There is a beauty and force in the truth that nothing can make so apparent as opposition and persecution.—Manuscript Releases 13:71, 72 (1896). This phrase describes the ultimate demise of the wicked. It is God’s servants, the saints, the prophets and those that fear or revere God’s name that will receive a reward but in contrast the wicked receive destruction. The wicked are recognised as those which have destroyed the earth. From G1223 and G5351; to rot thoroughly, that is, (by implication) to ruin (passively decay utterly, figuratively pervert): - corrupt, destroy, perish. (Hos 4:3) Therefore shall the land mourn, and every one that dwelleth therein shall languish, with the beasts of the field, and with the fowls of heaven; yea, the fishes of the sea also shall be taken away. (Joe 1:16) Is not the meat cut off before our eyes, yea, joy and gladness from the house of our God? (Joe 1:17) The seed is rotten under their clods, the garners are laid desolate, the barns are broken down; for the corn is withered. (Joe 1:18) How do the beasts groan! the herds of cattle are perplexed, because they have no pasture; yea, the flocks of sheep are made desolate. (Joe 1:19) O LORD, to thee will I cry: for the fire hath devoured the pastures of the wilderness, and the flame hath burned all the trees of the field. (Joe 1:20) The beasts of the field cry also unto thee: for the rivers of waters are dried up, and the fire hath devoured the pastures of the wilderness. (Zep 1:14) The great day of the LORD is near, it is near, and hasteth greatly, even the voice of the day of the LORD: the mighty man shall cry there bitterly. (Zep 1:16) A day of the trumpet and alarm against the fenced cities, and against the high towers. (Zep 1:17) And I will bring distress upon men, that they shall walk like blind men, because they have sinned against the LORD: and their blood shall be poured out as dust, and their flesh as the dung. (Zep 1:18) Neither their silver nor their gold shall be able to deliver them in the day of the LORD'S wrath; but the whole land shall be devoured by the fire of his jealousy: for he shall make even a speedy riddance of all them that dwell in the land. (Psa 145:20) The LORD preserveth all them that love him: but all the wicked will he destroy. (Pro 10:29) The way of the LORD is strength to the upright: but destruction shall be to the workers of iniquity. (Pro 10:30) The righteous shall never be removed: but the wicked shall not inhabit the earth. (Isa 1:28) And the destruction of the transgressors and of the sinners shall be together, and they that forsake the LORD shall be consumed. (Isa 13:6) Howl ye; for the day of the LORD is at hand; it shall come as a destruction from the Almighty. (Isa 13:8) And they shall be afraid: pangs and sorrows shall take hold of them; they shall be in pain as a woman that travaileth: they shall be amazed one at another; their faces shall be as flames. (Isa 13:9) Behold, the day of the LORD cometh, cruel both with wrath and fierce anger, to lay the land desolate: and he shall destroy the sinners thereof out of it. The atomic warfare of the sixth trumpet has devastated major cities across the world. The impact of nuclear radiation on the elements of the earth has poisoned the environment, let alone the earth’s inhabitants. The earth’s atmosphere has also been compromised not only by the nuclear fallout but by the upheaval of the earth itself as volcanoes erupt and earthquakes shake its foundations spewing ash high into the upper atmosphere. The wrath of God has come and the seven plagues are being poured out. God’s servants are protected from receiving the plagues, but those who have chosen not to heed the warnings given and preferred to receive the mark of the beast and follow Satan parading as Christ feel the full effects of God’s wrath. (Mat 24:22) And except those days should be shortened, there should no flesh be saved: but for the elect's sake those days shall be shortened. (Dan 12:7) And I heard the man clothed in linen, which was upon the waters of the river, when he held up his right hand and his left hand unto heaven, and sware by him that liveth for ever that it shall be for a time, times, and an half; and when he shall have accomplished to scatter the power of the holy people, all these things shall be finished. (Dan 12:8) And I heard, but I understood not: then said I, O my Lord, what shall be the end of these things? (Dan 12:11) And from the time that the daily sacrifice shall be taken away, and the abomination that maketh desolate set up, there shall be a thousand two hundred and ninety days. (Dan 12:12) Blessed is he that waiteth, and cometh to the thousand three hundred and five and thirty days. (Mat 24:14) And this gospel of the kingdom shall be preached in all the world for a witness unto all nations; and then shall the end come. Except for these days being shortened no flesh would be saved. The abomination is set up at the 1290 day point in the ‘time of the end’ timeline. By the time the 1335 day when a blessing from God is received by those who have earnestly been waiting for him 45 days will have elapsed during the ‘Great Tribulation’. It is this 45 day time period that will be cut short because if the days were not cut short ‘no flesh would be saved’. (2Pe 3:10) But the day of the Lord will come as a thief in the night; in the which the heavens shall pass away with a great noise, and the elements shall melt with fervent heat, the earth also and the works that are therein shall be burned up. God has been just and merciful. He has given explicit warnings to the inhabitants of earth through his two witnesses as they have prophesied in sackcloth (See the Revelation 11 study for more detail of this time period soon to take place). (Jud 1:7) Even as Sodom and Gomorrha, and the cities about them in like manner, giving themselves over to fornication, and going after strange flesh, are set forth for an example, suffering the vengeance of eternal fire. (Luk 21:22) For these be the days of vengeance, that all things which are written may be fulfilled. (Luk 21:20) And when ye shall see Jerusalem compassed with armies, then know that the desolation thereof is nigh. (Psa 94:1) O LORD God, to whom vengeance belongeth; O God, to whom vengeance belongeth, shew thyself. (Psa 94:20) Shall the throne of iniquity have fellowship with thee, which frameth mischief by a law? (Psa 94:21) They gather themselves together against the soul of the righteous, and condemn the innocent blood. (Psa 94:22) But the LORD is my defence; and my God is the rock of my refuge. (Psa 94:23) And he shall bring upon them their own iniquity, and shall cut them off in their own wickedness; yea, the LORD our God shall cut them off. The Lord will truly cut off the wicked and exact vengeance and judgment on the ‘throne of iniquity’ who have placed their law above the law of God. Legislation will be passed authorising the destruction of the righteous who choose to obey God rather than man by worshipping on the seventh day of the week – Saturday rather than Sunday. (Rev 19:11) And I saw heaven opened, and behold a white horse; and he that sat upon him was called Faithful and True, and in righteousness he doth judge and make war. (Rev 19:14) And the armies which were in heaven followed him upon white horses, clothed in fine linen, white and clean. (Rev 19:15) And out of his mouth goeth a sharp sword, that with it he should smite the nations: and he shall rule them with a rod of iron: and he treadeth the winepress of the fierceness and wrath of Almighty God. (Rev 19:18) That ye may eat the flesh of kings, and the flesh of captains, and the flesh of mighty men, and the flesh of horses, and of them that sit on them, and the flesh of all men, both free and bond, both small and great. (Rev 19:19) And I saw the beast, and the kings of the earth, and their armies, gathered together to make war against him that sat on the horse, and against his army. (Rev 19:20) And the beast was taken, and with him the false prophet that wrought miracles before him, with which he deceived them that had received the mark of the beast, and them that worshipped his image. These both were cast alive into a lake of fire burning with brimstone. (Rev 19:21) And the remnant were slain with the sword of him that sat upon the horse, which sword proceeded out of his mouth: and all the fowls were filled with their flesh. (Isa 34:1) Come near, ye nations, to hear; and hearken, ye people: let the earth hear, and all that is therein; the world, and all things that come forth of it. (Isa 34:2) For the indignation of the LORD is upon all nations, and his fury upon all their armies: he hath utterly destroyed them, he hath delivered them to the slaughter. (Isa 34:3) Their slain also shall be cast out, and their stink shall come up out of their carcases, and the mountains shall be melted with their blood. (Isa 34:4) And all the host of heaven shall be dissolved, and the heavens shall be rolled together as a scroll: and all their host shall fall down, as the leaf falleth off from the vine, and as a falling fig from the fig tree. (Isa 34:5) For my sword shall be bathed in heaven: behold, it shall come down upon Idumea, and upon the people of my curse, to judgment. (Isa 34:6) The sword of the LORD is filled with blood, it is made fat with fatness, and with the blood of lambs and goats, with the fat of the kidneys of rams: for the LORD hath a sacrifice in Bozrah, and a great slaughter in the land of Idumea. (Isa 34:7) And the unicorns shall come down with them, and the bullocks with the bulls; and their land shall be soaked with blood, and their dust made fat with fatness. (Isa 34:8) For it is the day of the LORD'S vengeance, and the year of recompences for the controversy of Zion. (Isa 34:9) And the streams thereof shall be turned into pitch, and the dust thereof into brimstone, and the land thereof shall become burning pitch. (Isa 34:10) It shall not be quenched night nor day; the smoke thereof shall go up for ever: from generation to generation it shall lie waste; none shall pass through it for ever and ever. (Isa 34:11) But the cormorant and the bittern shall possess it; the owl also and the raven shall dwell in it: and he shall stretch out upon it the line of confusion, and the stones of emptiness. (Isa 34:12) They shall call the nobles thereof to the kingdom, but none shall be there, and all her princes shall be nothing. (Isa 34:13) And thorns shall come up in her palaces, nettles and brambles in the fortresses thereof: and it shall be an habitation of dragons, and a court for owls. (Isa 34:14) The wild beasts of the desert shall also meet with the wild beasts of the island, and the satyr shall cry to his fellow; the screech owl also shall rest there, and find for herself a place of rest. (Isa 34:15) There shall the great owl make her nest, and lay, and hatch, and gather under her shadow: there shall the vultures also be gathered, every one with her mate. (Isa 34:16) Seek ye out of the book of the LORD, and read: no one of these shall fail, none shall want her mate: for my mouth it hath commanded, and his spirit it hath gathered them. (Isa 34:17) And he hath cast the lot for them, and his hand hath divided it unto them by line: they shall possess it for ever, from generation to generation shall they dwell therein. The armies gathered in Revelation 19:19 - And I saw the beast, and the kings of the earth, and their armies, gathered together to make war against him that sat on the horse, and against his army – are utterly destroyed (Isaiah 34:2). The land turned into burning pitch and brimstone (Isaiah 34:9) becomes the lake of fire for the false prophet and beast (Revelation 19:20). The birds shall dwell there and according to Revelation 19:17 and 21 feast on the flesh of the wicked. Cormorants, bitterns, ravens vultures and owls are all referred to by Isaiah as possessing the earth for generations. (Isa 14:5) The LORD hath broken the staff of the wicked, and the sceptre of the rulers. (Isa 14:6) He who smote the people in wrath with a continual stroke, he that ruled the nations in anger, is persecuted, and none hindereth. (Isa 14:7) The whole earth is at rest, and is quiet: they break forth into singing. (Isa 14:8) Yea, the fir trees rejoice at thee, and the cedars of Lebanon, saying, Since thou art laid down, no feller is come up against us. (Isa 63:4) For the day of vengeance is in mine heart, and the year of my redeemed is come. (Nah 1:2) God is jealous, and the LORD revengeth; the LORD revengeth, and is furious; the LORD will take vengeance on his adversaries, and he reserveth wrath for his enemies. (Rev 20:1) And I saw an angel come down from heaven, having the key of the bottomless pit and a great chain in his hand. (Rev 20:5) But the rest of the dead lived not again until the thousand years were finished. This is the first resurrection. (Rev 20:6) Blessed and holy is he that hath part in the first resurrection: on such the second death hath no power, but they shall be priests of God and of Christ, and shall reign with him a thousand years. Satan the arch enemy of humanity and God is now put under lock and key. He can no longer harass any of God’s creation in the universe. He has a thousand years to reflect on the sorrow and evil he has brought upon the earth. He is not sorry for what he has done but he is angry and it is his hatred of God that drives him to plan for the next phase of his attack on God’s reign. He will not deceive the nations again until the thousand years of his imprisonment has ended. · Satan is imprisoned for a thousand years after the coming of Christ. · Those resurrected at the coming of Christ (first resurrection) shall reign with the Father and his son –Jesus Christ as priests during that thousand years. This is also the time they enter into judgment. · The rest of the wicked dead that were destroyed at Christ’s second coming and those that had already died the ‘first death’ and did not have their name registered in the book of life ‘live again’ at the end of a thousand years. (Mal 3:16) Then they that feared the LORD spake often one to another: and the LORD hearkened, and heard it, and a book of remembrance was written before him for them that feared the LORD, and that thought upon his name. (Mal 3:17) And they shall be mine, saith the LORD of hosts, in that day when I make up my jewels; and I will spare them, as a man spareth his own son that serveth him. (Mal 3:18) Then shall ye return, and discern between the righteous and the wicked, between him that serveth God and him that serveth him not. (Rev 3:5) He that overcometh, the same shall be clothed in white raiment; and I will not blot out his name out of the book of life, but I will confess his name before my Father, and before his angels. · The ‘second death’ has no power over those ‘jewels’ who hath part in the first resurrection. Clothed in the white raiment of Christ’s righteousness they are counted as ‘blessed and holy’. (Rom 6:23) For the wages of sin is death; but the gift of God is eternal life through Jesus Christ our Lord. Is your name recorded in the ‘book of life’? All you have to do us OPEN THE DOOR and receive Jesus as a welcome guest into your life. Be willing to give up anything that stands between you and Christ. He has the power to miraculously transform your life and record your name in the book of life. He forgives you for any wrongs you have committed, he covers you with his righteousness and will polish you into one of his precious jewels. Ask him right now – he is only a whisper away. (Rev 20:8) And shall go out to deceive the nations which are in the four quarters of the earth, Gog and Magog, to gather them together to battle: the number of whom is as the sand of the sea. (Rev 20:9) And they went up on the breadth of the earth, and compassed the camp of the saints about, and the beloved city: and fire came down from God out of heaven, and devoured them. (Rev 20:10) And the devil that deceived them was cast into the lake of fire and brimstone, where the beast and the false prophet are, and shall be tormented day and night for ever and ever. As stated previously in Revelation 20:5 ‘the rest of the dead lived not again until the thousand years were finished’. The wicked dead are resurrected at the same time Satan is released from his prison (Revelation 20:7). A thousand years has been a long time for Satan and his rebellious demonic horde to let their evil machinations run wild. Immediately upon their release they pursue what they do best - they go out and deceive the nations. This is their last chance to defeat their creator and Satan rallies the wicked dead. The dead that have been raised include those from the beginning of earth’s history, even before the flood, to those who died at the second coming of Christ. The dead who are alive now truly number as the sands of the sea. The numbers within Satan’s last army have no chance against the might of their creator. They surround the heavenly city and the camp of the saints but are devoured by fire and die the second death. Finally the wicked meet their end – they are totally destroyed. They are gone forever. Satan and his evil horde also receive their fate. The vengeance of eternal fire is theirs (Jude 1:7). The wicked were destroyed at Christ’s second coming. They are dead and judged during the thousand year imprisonment of Satan. Finally after the judgment of the dead has taken place they receive their reward – destruction by eternal fire. Verse 18 has given us an overview of all the events to take place during the seventh trumpet. The seventh trumpet encompasses a vast time span and stupendous events that involve the pouring out of the wrath or vengeance of God, the coming of Christ, the deliverance of the saints and the destruction of Satan, his evil angels and the wicked. (Rev 16:17) And the seventh angel poured out his vial into the air; and there came a great voice out of the temple of heaven, from the throne, saying, It is done. The phrase ‘It is done’ signifies the end of a course of action that God has found to be a ‘strange work’. Yet God has clearly revealed to those who care to read and understand that there is a way of escape and He has made that way available to all through the gift of his only begotten son Jesus Christ. Oh how He wants us to choose Christ and live! (Rev 21:6) And he said unto me, It is done. I am Alpha and Omega, the beginning and the end. I will give unto him that is athirst of the fountain of the water of life freely. These words are a reassurance to God’s people who have just witnessed the total and complete destruction of the wicked. (Rev 21:4) And God shall wipe away all tears from their eyes; and there shall be no more death, neither sorrow, nor crying, neither shall there be any more pain: for the former things are passed away. It is done signifies that the ‘former things are passed away’ –no more death, sorrow, crying or pain –the results of sin – have been eradicated. The final verse in Revelation 11 reveals the temple of God opened in heaven and the Most Holy Place in the sanctuary where the ark of the testament containing the law of God is placed. (Rev 15:6) And the seven angels came out of the temple, having the seven plagues, clothed in pure and white linen, and having their breasts girded with golden girdles. (Rev 15:7) And one of the four beasts gave unto the seven angels seven golden vials full of the wrath of God, who liveth for ever and ever. (Rev 15:8) And the temple was filled with smoke from the glory of God, and from his power; and no man was able to enter into the temple, till the seven plagues of the seven angels were fulfilled. The temple is opened to enable the seven angels with the seven golden vials to leave and deliver the wrath of God through the pouring out of the seven plagues of Revelation 16. The seventh trumpet has sounded and God’s wrath IS COME. Rev_4:5 And out of the throne proceeded lightnings and thunderings and voices: and there were seven lamps of fire burning before the throne, which are the seven Spirits of God. Rev_8:5 And the angel took the censer, and filled it with fire of the altar, and cast it into the earth: and there were voices, and thunderings, and lightnings, and an earthquake. Rev_11:19 And the temple of God was opened in heaven, and there was seen in his temple the ark of his testament: and there were lightnings, and voices, and thunderings, and an earthquake, and great hail. Rev_16:18 And there were voices, and thunders, and lightnings; and there was a great earthquake, such as was not since men were upon the earth, so mighty an earthquake, and so great….. (Rev 16:21) And there fell upon men a great hail out of heaven, every stone about the weight of a talent: and men blasphemed God because of the plague of the hail; for the plague thereof was exceeding great. (Psa 18:2) The LORD is my rock, and my fortress, and my deliverer; my God, my strength, in whom I will trust; my buckler, and the horn of my salvation, and my high tower. (Psa 18:3) I will call upon the LORD, who is worthy to be praised: so shall I be saved from mine enemies. (Psa 18:4) The sorrows of death compassed me, and the floods of ungodly men made me afraid. (Psa 18:5) The sorrows of hell compassed me about: the snares of death prevented me. (Psa 18:6) In my distress I called upon the LORD, and cried unto my God: he heard my voice out of his temple, and my cry came before him, even into his ears. (Psa 18:7) Then the earth shook and trembled; the foundations also of the hills moved and were shaken, because he was wroth. Earthquakes are a sign of God’s wrath. (Job 38:23) Which I have reserved against the time of trouble, against the day of battle and war? Hail is going to be used by God in the time of trouble as a judgment on the wicked. The seventh trumpet will sound. But you must have heeded the prior trumpets or warnings to be saved from the outpouring of God’s wrath. The seventh trumpet will not impact on only ‘a third’ as the six trumpet warnings prior to it have done. God’s mercy has come to an end by the time the seventh trumpet sounds. God’s wrath will be poured out and increase in intensity till the final destruction of the wicked. (2Pe 3:12) Looking for and hasting unto the coming of the day of God, wherein the heavens being on fire shall be dissolved, and the elements shall melt with fervent heat? (2Pe 3:13) Nevertheless we, according to his promise, look for new heavens and a new earth, wherein dwelleth righteousness. May God truly convict you of his presence, his desire to save you and his deep and abiding love. You have been given life by the creator God. He has chosen you to be his servant. Hear what his spirit is saying to your heart. These trumpet warnings that God will sound are designed to herald the soon coming of Jesus Christ. A special prayer has ascended to God on your behalf that you will hear his voice and respond to his mercy while there is time. For more information about God, his word and his desire to have you meet him in the clouds of heaven at his second coming please access the Bible studies on this website. 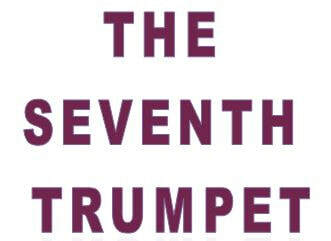 The plan now the final trumpet study has been completed is to develop a booklet to be used in outreach entitled: The Seven Trumpets – ?? If you have any ideas as to a simple but effective title we would welcome your feedback. If you would like a pdf copy of the booklet once complete by all means email us and we will make sure you are kept up to date with its progress.